Our new house is open plan downstairs which means one thing we are quite short of is corners. 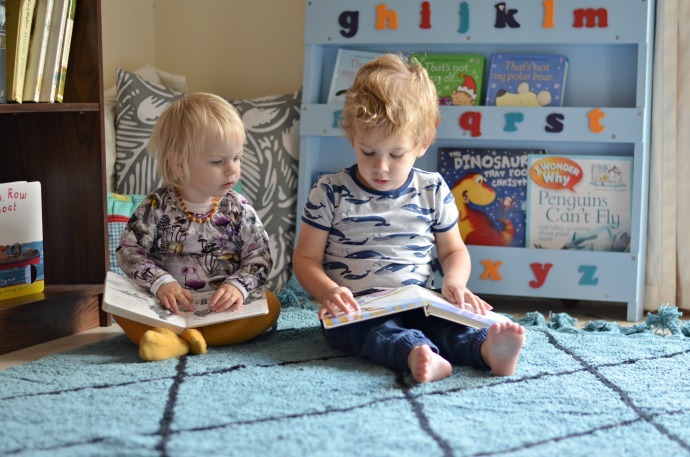 One of them was chosen to be a reading corner early on though and we have finally made a little cosy space to sit and enjoy a book. 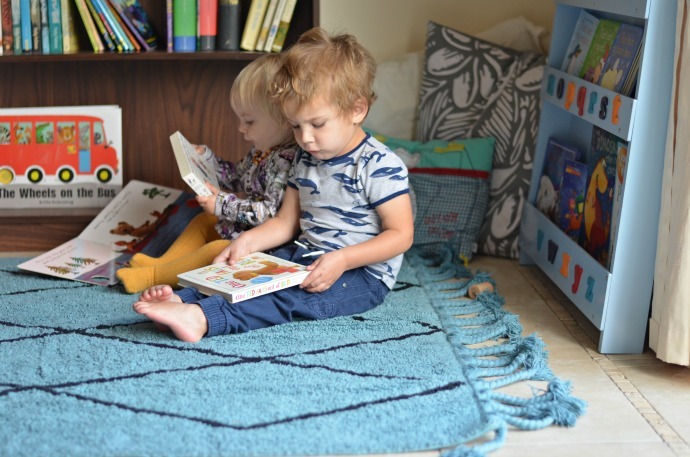 Using my book case and the kids' tidy books bookcase and a beautiful rug from Lorena Canals that we were sent to review, we made a bright and snuggly corner where the children can sit with a book or a game. We are storing most of their books over on their Kallax unit but I seperated the Christmas ones in an effort to start feeling festive and I have found that having a smaller selection out on display like this makes them much more likely to pick up one and have a look. 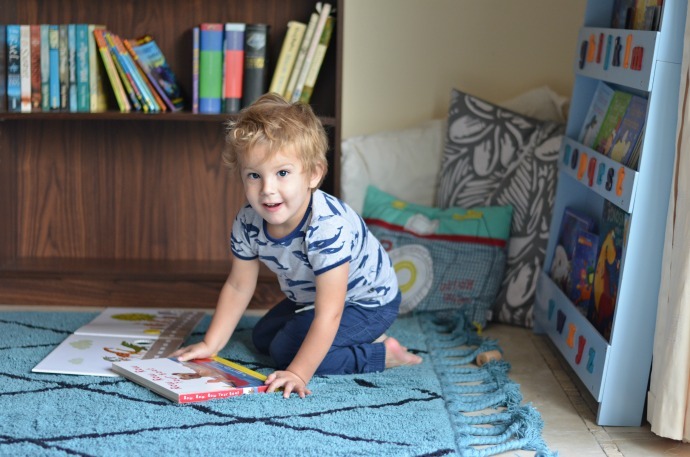 The rug is perfect for a busy house as it it completely machine washable! 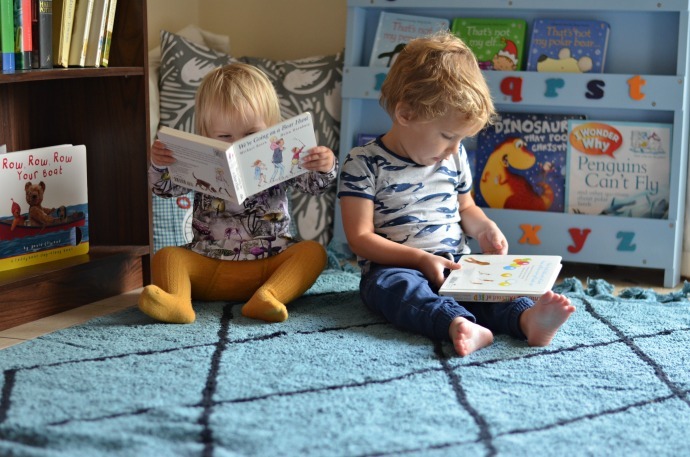 We have tiled floors and I was looking for something to keep little feet and bottoms warm this winter and the rug ticks all the boxes. It is a great size, easy care and we can pop it in the washing machine when it (inevitably) gets grubby. All the Lorena Canal rugs are 100% cotton, made from natural dyes and socially responsible and eco-friendly. I think we are going to get a couple of little bean bags to make the corner even more enticing and maybe a standing lamp to go in the corner too. I want to make it somewhere we all go for some quiet time and a story and I am loving watching the children sharing books there already. 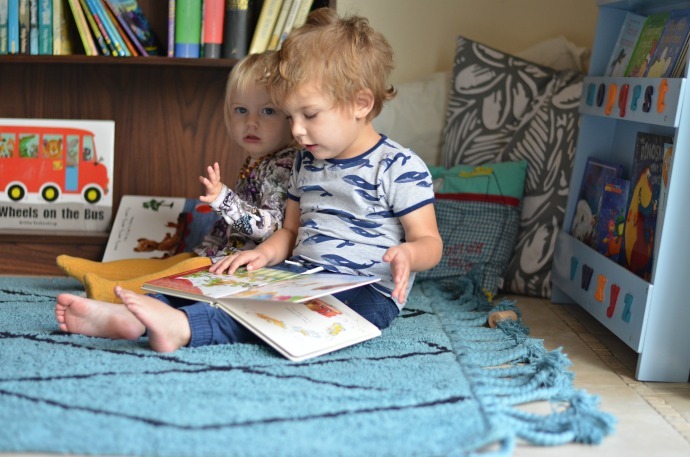 Thank you to Lorena Canals for sending us one of their gorgeous washable rugs.